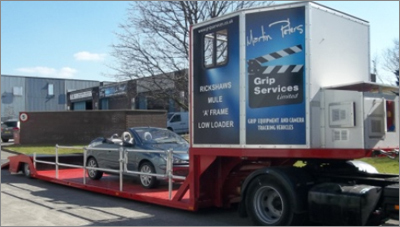 Our new Low Loader has the capacity to carry any car large or small up to Ambulance size vehicles. The crew compartment has seating for 7 crew members with lap belt safety belts and cushioned seating. Also fitted with an adjustable monitor table. 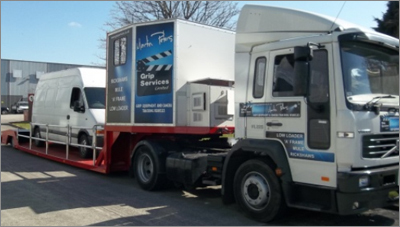 The trailer complies with the new EV03 European Trailer Regulations which require the fitting of an Anti lock braking system. A tachograph is fitted as the gross weight is over 3.5 tonnes. This Rig is also fitted with 100% air suspension adjustable at the push of a button.